Bruno and I have been CRAZY busy getting ready to leave for Orlando in less than a week. We have been making swaps, team gifts, getting presents and lots of exciting projects. It has been busy but fantastic. Today I have some simple #loveitchopit cards to show you! 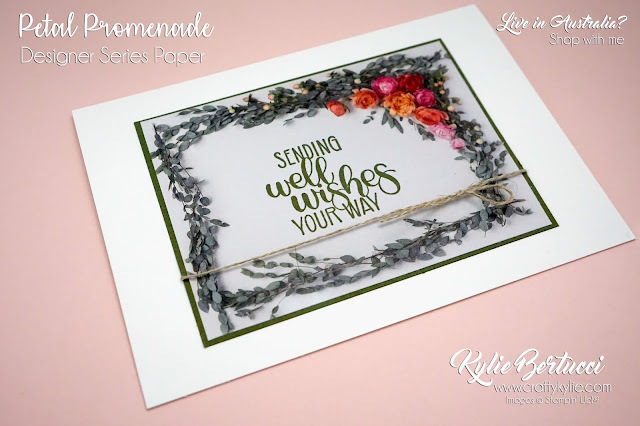 I used the stunning Petal Promenade Designer Series Paper and the sentiment is from the Dandelion Wishes Stamp set. 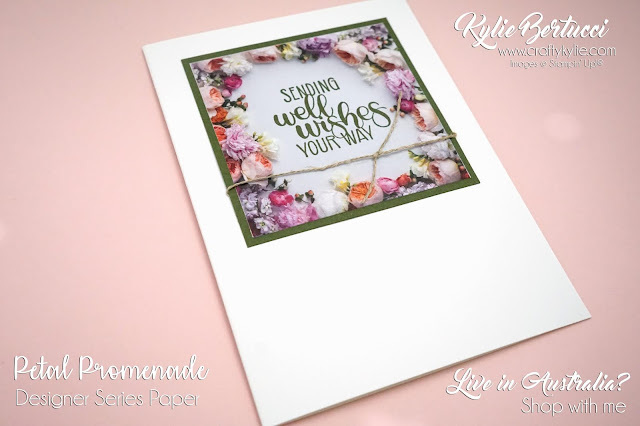 I love how easy it was to quickly put this card together and added the stunning linen thread as a simple embellishment. I have made the cards for Random Acts of Kindness cards and also for customers that place orders with me this week. 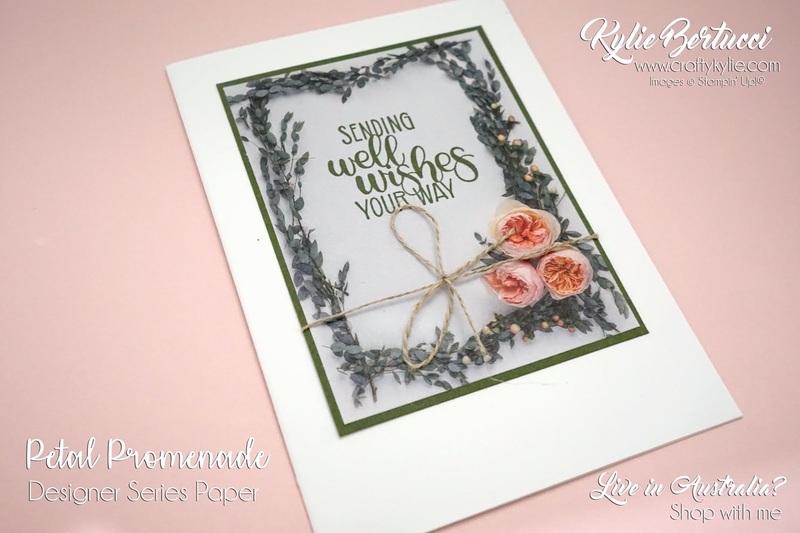 It is so awesome to have cards ready and on hand to send a thank you or thinking of you. 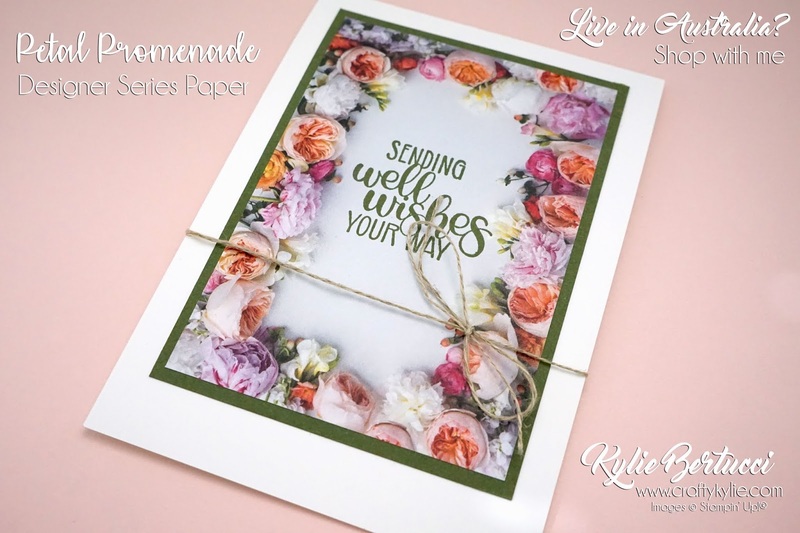 I was able to make these cards up fast because of the simple design. Thanks for coming by today to see my #loveitchopit cards! Isn't that Petal Promenade Designer Series Paper just beautiful? 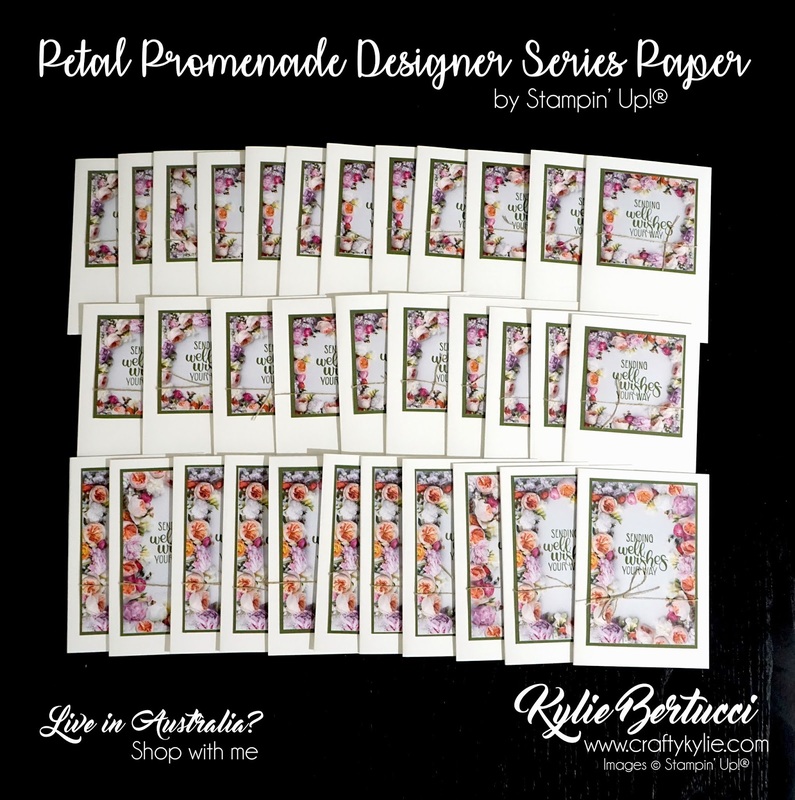 If you live in Australia you can purchase this paper and make your own stack of stunning cards quickly and at a minimal cost too.